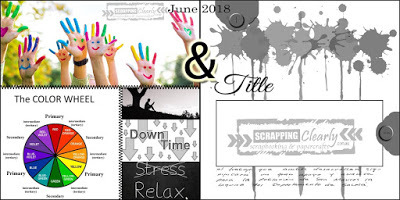 Scrappingclearly Scrapbooking and Papercrafts: June Challenge! I cannot believe we are into June already! We have a bright challenge for you this month! This is the last combined challenges created by the amazing Peg Hewitt. Stay tuned for our new challenges commencing July! you could win a voucher from our shop worth $30! We look forward to seeing your entries in our June challenge - hope you love the inspiration of this combined challenge.